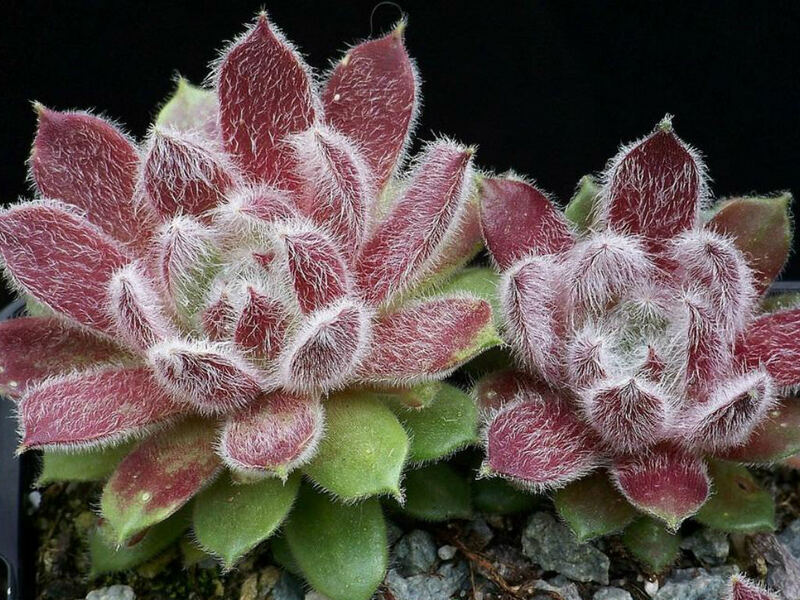 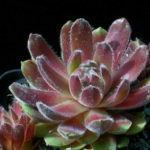 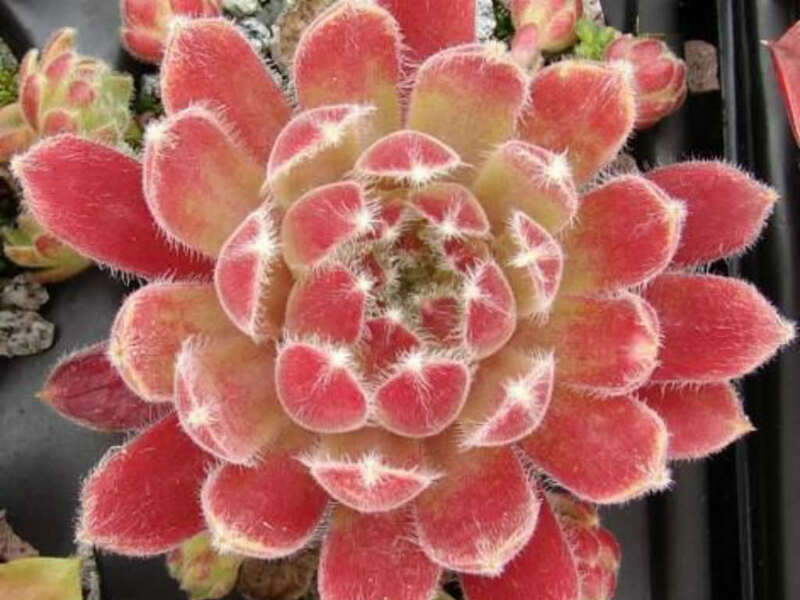 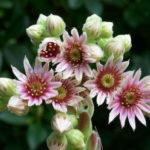 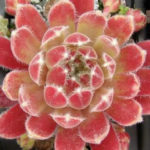 Sempervivum ‘Tarantula’ is a Semperivum hybrid with light green hairy foliage with pink or red marking in the center of the rosette. 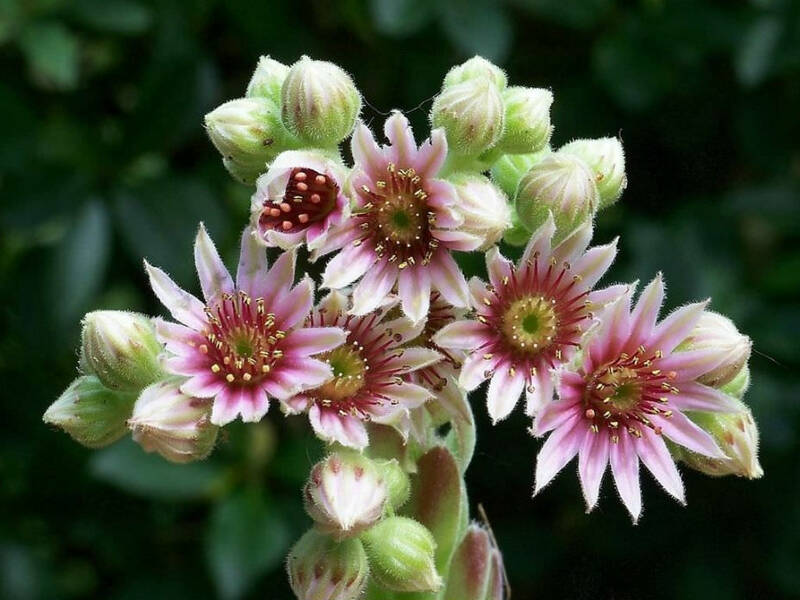 The flowers are star-shaped, with rose-purple petals with paler margins are held in flat cymes on the terminal ends of hairy, upright stems. The rosettes die after flowering but are replaced by new rosettes on lateral runners. 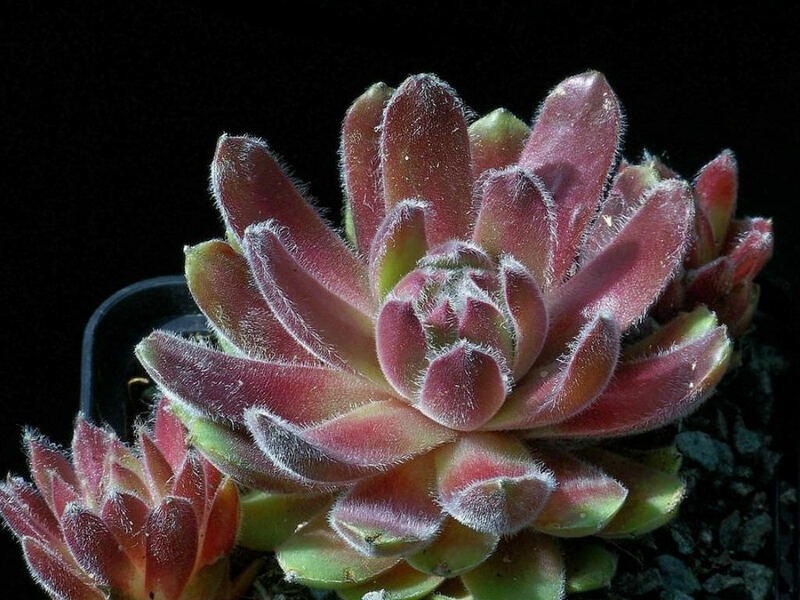 USDA hardiness zone 5a to 9b: from −20 °F (−28.9 °C) to 30 °F (−1.1 °C).